A highly customizable web-based online task and bug tracking system to keep track of reported bugs and tasks assigned to company employees. It allows simple workflow management as well as effective collaboration between teammates. Given the complex nature of modern software, one of the crucial tasks for a company that has its development department is to create a reliable environment for issue tracking and team collaboration. Our developers built an online bug and task tracking system that allows simplifying workflow management and improving collaboration between the staff members. The tracking system should allow users to review all issues through a configurable data grid and help to monitor the activity of the team that works on a project. Filtering feature should enable users to sort the available issues by different criteria. Another requirement was to allow staff members to create and edit projects and assign users to them. Our customer asked to implement an easy-to-use mechanism for updating profile settings. Also, all users should be able to get info on the current state of the project either by checking a detailed review of a particular issue or a comprehensive report on the state of all available tasks. XB Software’s developers built an online system that enables fast-tracking and handling of all software bugs and tasks. It enables the staff to create, edit, and delete projects via the web form from anywhere and from any device. You can easily add users to the project by drag-and-drop. All available users have a Type field allowing to define their role on a project, e.g., manager, developer, QA, and so on. All staff members assigned to particular tasks will receive email notifications on bug and task updates and new comments. A user can change the profile settings, choose the type of notifications to receive, edit personal info and easily configure user permissions. Filtering allows arranging available issues by priority, project, user, current status, and other values. Time tracking feature enables estimating time on development and bug fixes. All current issues are listed in a multi-row table that allows following the team activity. 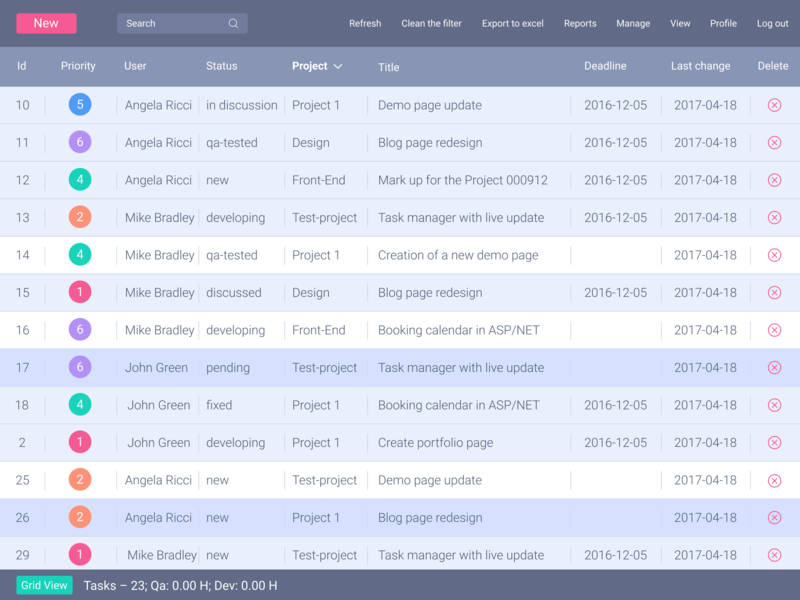 Flexible and customizable UI allows applying changes to the list of issues on-the-fly. 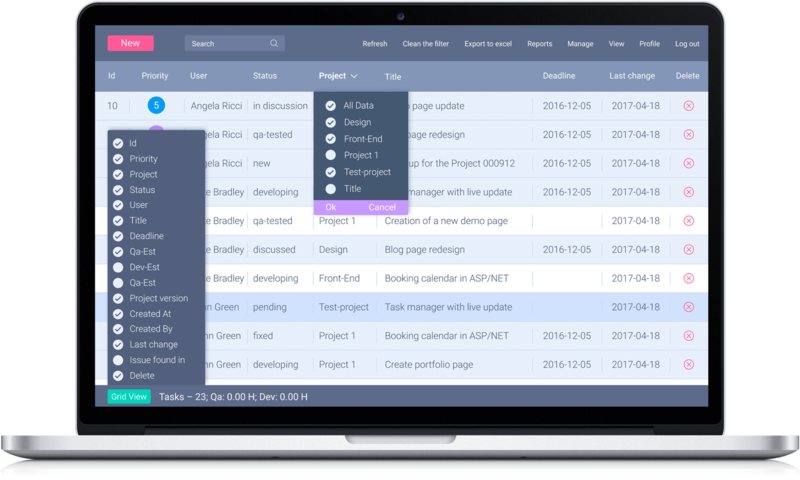 Users can select the fields to be displayed, such as project name, issue status, deadline, development time estimate by QA engineer, and others. 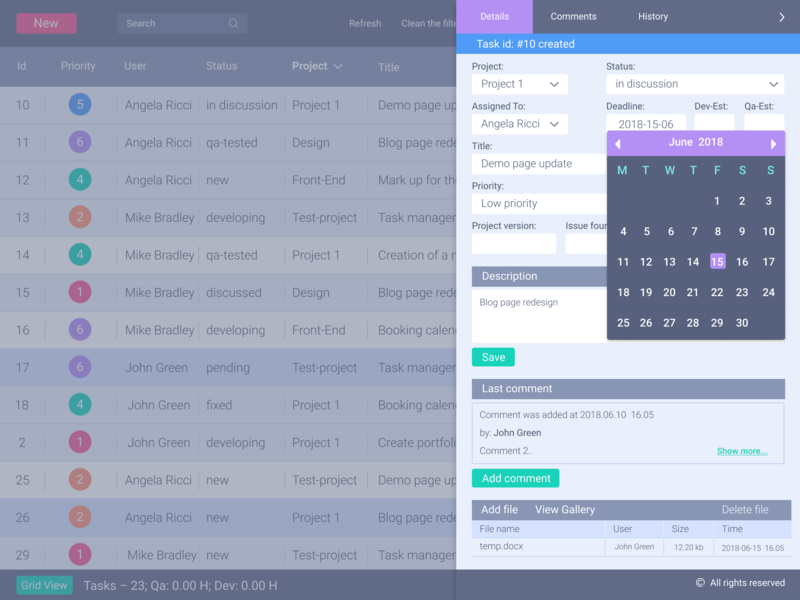 Also, team members can use the menu to select and view All tasks, Active tasks or Past tasks only. 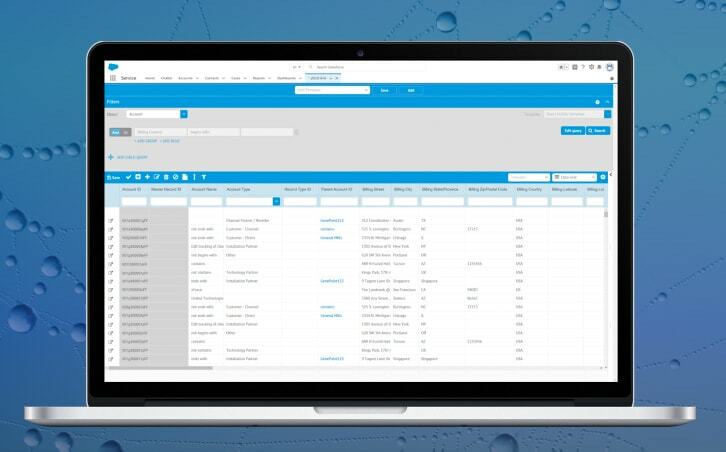 Advanced filtering enables users to arrange all issues by project, priority, status, and more. Task details form allows editing descriptions of tasks and bugs. Using a built-in date picker, a user can set the deadline for a particular issue. Also, it’s possible to attach files to each task, add and review comments. 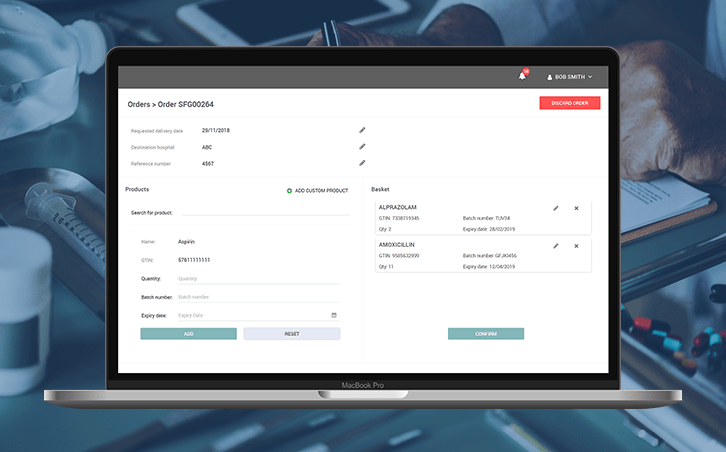 The reporting feature allows users to overview the current state of projects. Reports provide such info as the number of issues and their current status. Also, the system enables the simple creation of Excel reports. Diagrams give a visual representation of each project progress and flow. Thanks to mobile devices support, the task and bug tracking system works flawlessly on iOS and Android devices. Cross-browser compatibility allows working in all modern browsers. Our development team has created a comprehensive web-based tool that allows increasing the efficiency of collaboration between teammates. An IT company from Lithuania that creates reliable software solutions both for web developers and non-IT companies.